"I want to say Again and Again a Big Thank to the Dr Zarreii!" "Dr Zarreii is one of the best doctors I have known." "The whole staff was friendly and helpful!" "I am absolutely thrilled with the level of care that he and his staff provide. " "Dr. Zarreii is a wonderful doctor. He is very knowledgeable and takes his time." "Dr zareii is a knowledgeable compassionate doctor." Peymon Zarreii, MD, has been helping men and women in and around Delray Beach look and feel their best since 2005. 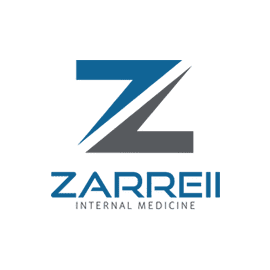 At his state-of-the-art South Florida practice Zarreii Medical and Aesthetics, he provides the highest level of personalized health care for patients from young adulthood well into the golden years. Dr. Zarreii received his undergraduate degree from the University of South Florida in Tampa before earning his medical degree at St. George’s University School of Medicine. At the Brooklyn Hospital Center in New York, he completed his residency in internal medicine at the top of his class. As a board-certified internist, he’s able to make important connections between a patient’s family history, symptoms, lifestyle, and risk factors for certain conditions. Over the course of his career, Dr. Zarreii found a passion for helping men and women age gracefully while remaining active and vibrant at every phase and stage of life. He’s proud to serve as the medical director for both Abbey Delray South and Arden Courts of Delray Beach, two of the region’s premier geriatric care communities. In Zarreii Medical and Aesthetics, Dr. Zarreii created a warm and inviting practice where every patient feels valued and empowered to achieve their own personal health goals. 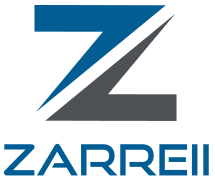 From routine screenings and services to disease management and innovative cosmetic therapies, Dr. Zarreii is your personal health and wellness advocate. Dr. Zarreii is accepting new patients. Call or click to schedule an appointment today. Take years off your face with thread lifts - an “under the radar approach” to achieving young and ageless looking skin. Whether you’ve inherited or acquired your double chin, you don’t have to keep it. Thanks to an innovative new injectable treatment called Kybella®, you can lose that unwanted fat without surgery. Read on to learn how. "Was recommended by my parents to come here. After my first appointment Dr Zarreii and his staff were absolutely awesome!" " I have been a patient of Dr Zarreii for a few years and my experience with his office gets even better every time." "After 3 different urgent care visits, Dr. Z truly listened to my boyfriend and properly diagnosed him without hesitation, which was an overdue relief." "He has saved my life before and for that I am truly thankful." "Dr. Zarreii is amazing. He really seems invested in helping me get healthy. I am grateful that he is my doctor." "I recommend my friends and family to him because he cares for the physical and emotional health of his patients! "